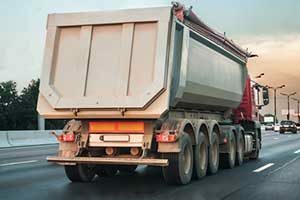 Dirt Connections provides fill dirt delivery to any commercial or residential site in Northern Virginia. Our reliable and affordable dirt delivery services can simplify your heavy construction logistics while saving you time and money. Dirt Connections has the knowledge and the resources to help you to successfully complete your project, regardless of its size. 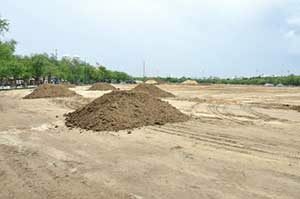 Fill dirt is the level of dirt located below the layer of topsoil in the ground. Fill dirt has a much different composition than topsoil: it consists primarily of hard, rocky material and doesn’t contain the organic compounds or nutrients commonly found in topsoil. Organic matter decomposes over time, so any type of dirt that contains organic matter will be prone to settling, or leaving behind empty spaces or pockets of air. These spaces serve to weaken the topsoil and cause it to crumble in on itself over time, making fill dirt the ideal type of dirt for many home projects involving stability and structural support. If the land around your home has a natural depression and requires leveling, fill dirt is the type of soil you need. If you’re thinking about building a new structure on your land, or having an extension built to your home, fill dirt acts as a great base. If your lawn or another area of your property slopes too much, or is too level, fill dirt can be used to fix it. Proper grading ensures proper drainage and prevents damage to your home foundation. Site preparation is the umbrella term used to describe building demolition and the clearing of building sites. Structural fill dirt can be used to fill in gaps or holes caused by the clearing or demolition process in general. Fill dirt can be used to both raise an existing ditch to a level that improves drainage, or to fill a ditch that is no longer in use. Like grading or sloping, drainage pathways will improve the drainage of the water used inside your home, as well as naturally occurring water due to underground sources or weather conditions. Fill dirt can be used in the creation of a drainage pathway, thereby helping to direct water flow in a more efficient manner. Landscape mounds in and around your home can be used to create a unique garden design, helping to raise plants to a higher level. Man made hills also offer a greater degree of privacy for homeowners who are surrounded by neighbors and have level garden spaces. Just be sure to remember that structural fill dirt is not recommended as a topsoil! Dirt Connections’ team of experienced contractors are ready to assist you with your next home or commercial project. We offer a wide variety of site preparation services and can adjust to the demands of any project. From site grading to water and erosion control, to foundation excavation, Dirt Connections is here to help. Contact us today to find out how we can make your project a reality!